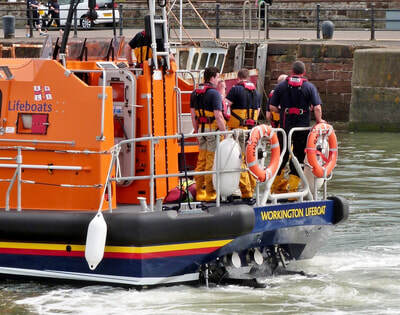 This Page contains a brief history of the lifeboat station followed by recent photos of boats on exercise. 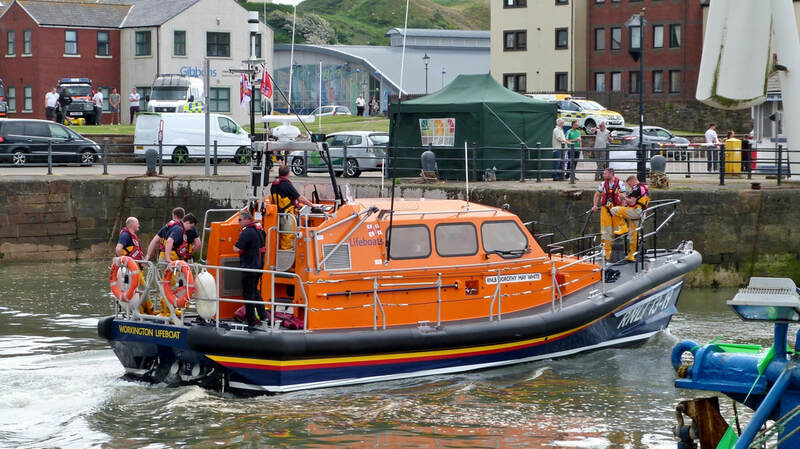 A rescue service has operated from the port since 1886 when a lifeboat house & slipway was constructed. The first lifeboat was named DIDO (ON79). 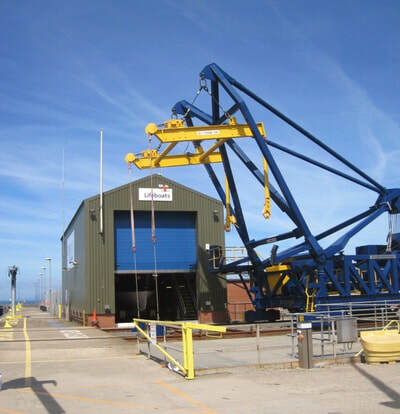 The present station was established in 1948 to take over duties from Maryport whose launch area had become silted-up. 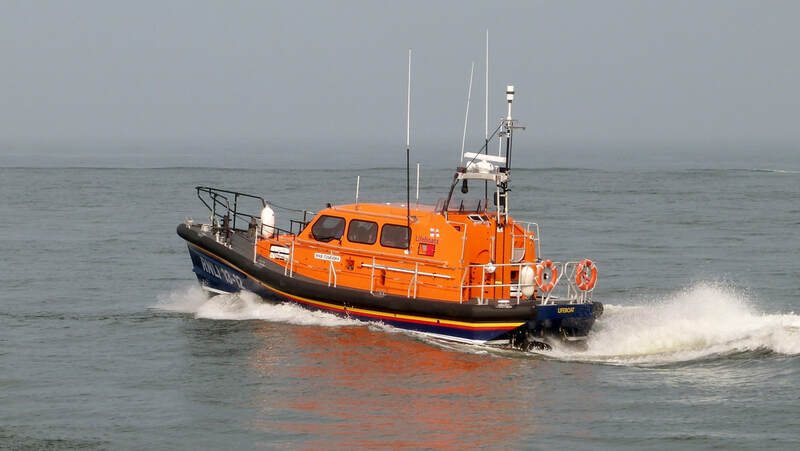 ​The first boat was the motor vessel 'The Brothers' (ON671) built in 1922. 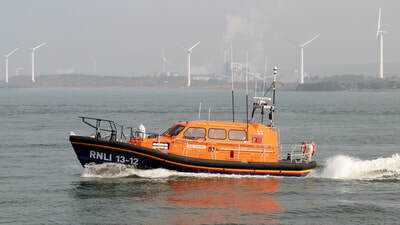 She served for 4years before being replaced by N.T. 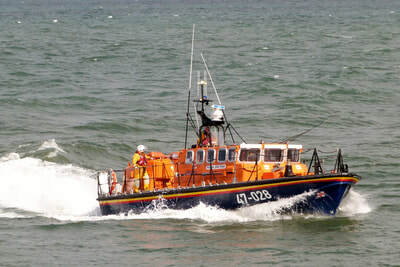 (ON701), formerly of Barrow. 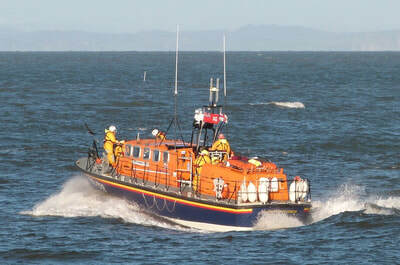 The station received a succession of second-hand boats up until the 1990's when Tyne Class 'Sir John Fisher' arrived, financed by charitable donations. 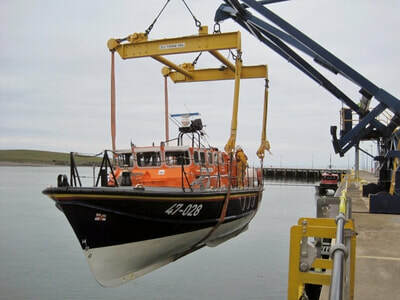 At this time a new boathouse was built and the davit launch equipment installed. ​A fuller history is available on the RNLI website. ​'Sir John Fisher' 47-028 was a familiar sight around the Cumbrian coast up until mid-2017. 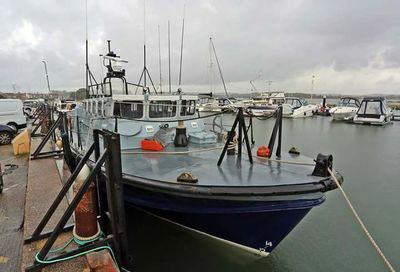 ​She had been stationed at the port since 1992, but once 25 years of operational life had been reached the decision was made to replace her with a new Shannon Class boat. Sir John was 1 of 40 Tyne Class boats built. 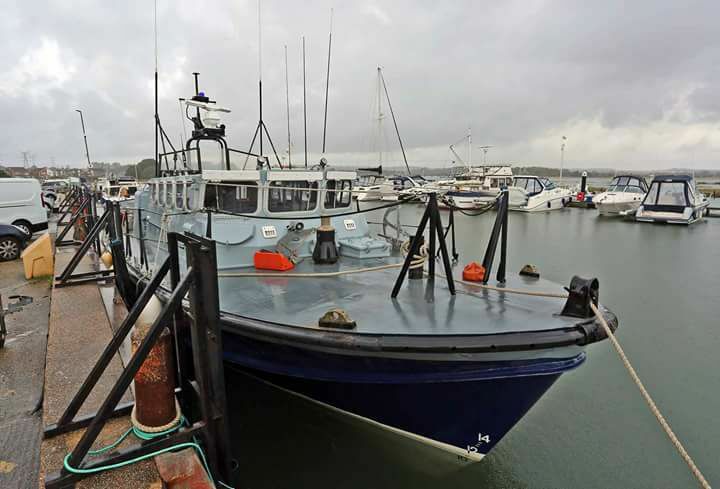 She was diesel powered, 14m length and designed for launching from slipways as well ​afloat in shallow water. ​At the end of her service In May 2017 she was taken by road to Poole where she was last photographed at Cobbs Quay, her RNLI livery removed & painted grey. 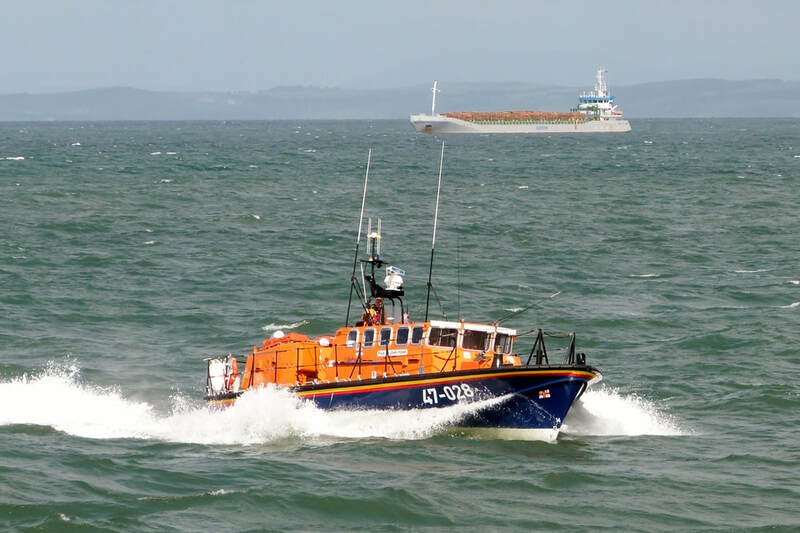 The two photos at Poole are from RNLI's Facebook Page. The Shannon is the latest class of all-weather lifeboat used by the RNLI. 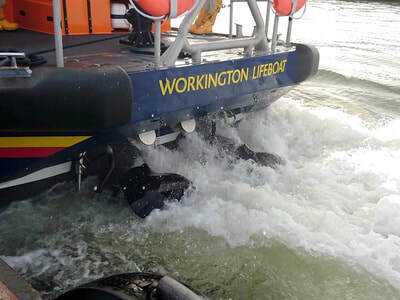 Propulsion is by water jets rather than propellers making the design highly manoeuvrable. 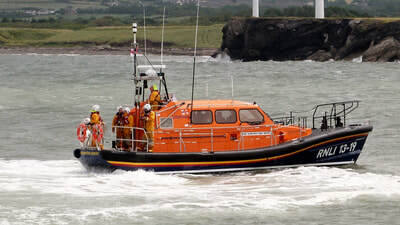 Capable of 25 knots the Shannon is 50% faster than its predecessors. 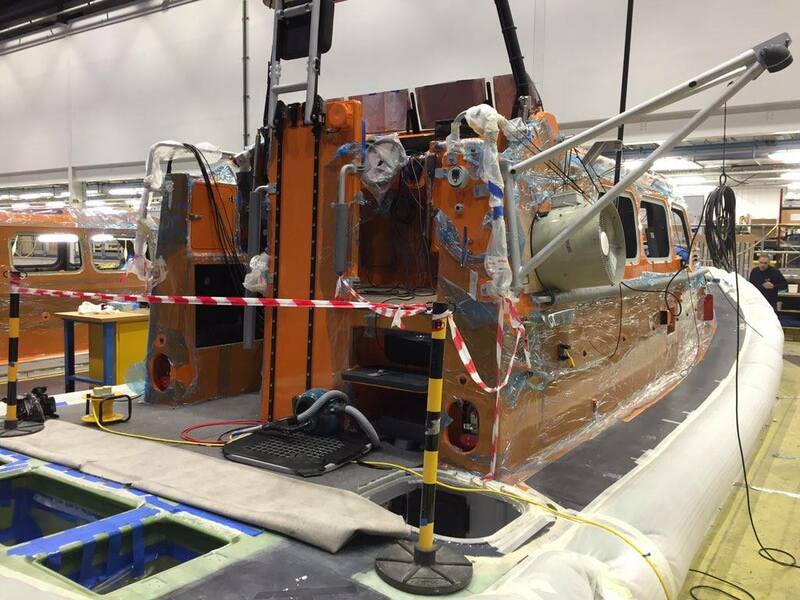 Construction of the hull of Workington's new boat began in 2016 at the RNLI's construction arm, SAR Composites at Lymington. Fitting out was completed at Poole. The five photos below are from RNLI's Facebook Page. 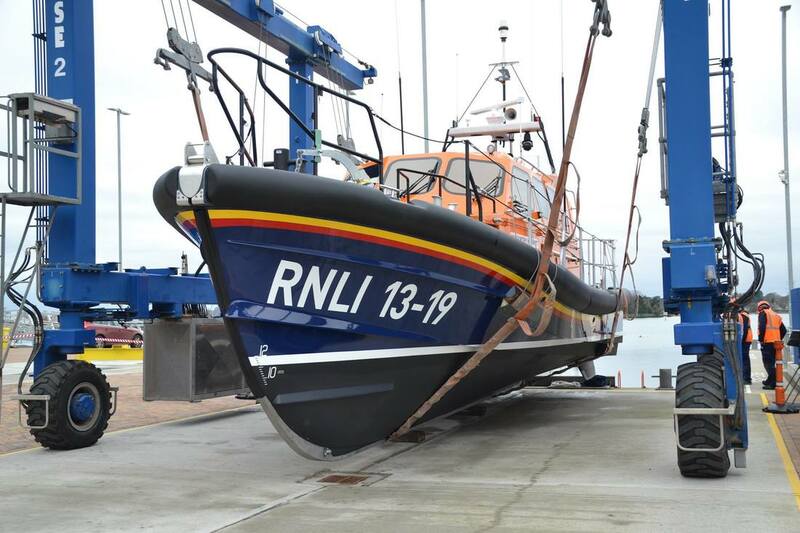 ​The completed boat was launched for its first trials at Poole in Jan '17. 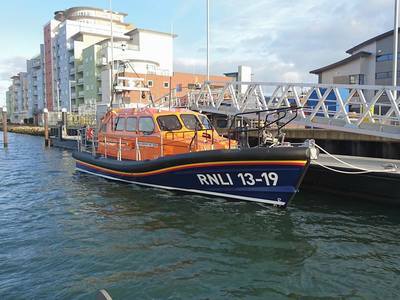 She set sail from Poole on 29th Mar with overnight stops at several RNLI Stations en route to Workington arriving 5th April. 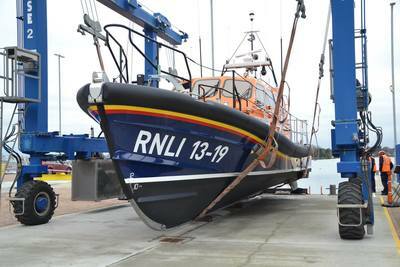 The naming ceremony for RNLI 13-19 'Dorothy May White was held on 24th Jun 2017. On the day of her naming ceremony she was called upon to assist 'SCOT LEADER'. 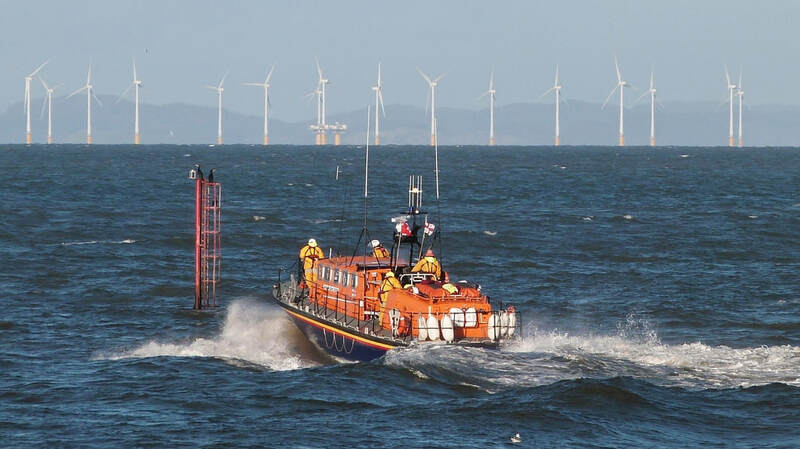 The general cargo vessel had become grounded on the windbreak at the South Pier whilst navigating the approach channel. 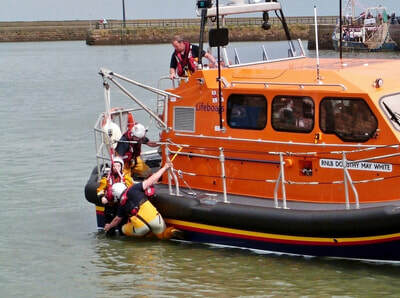 The photos show her returning to base shortly after the call when it became obvious assistance wasn't required. For a full account of the incident see the 'Workington Archive Page'. 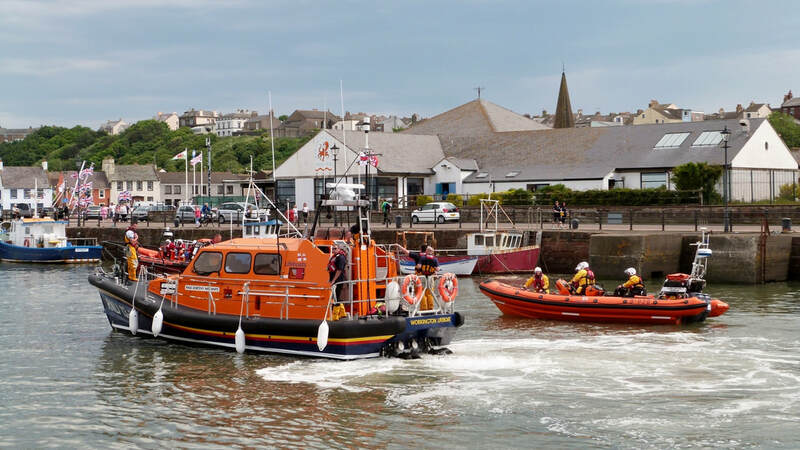 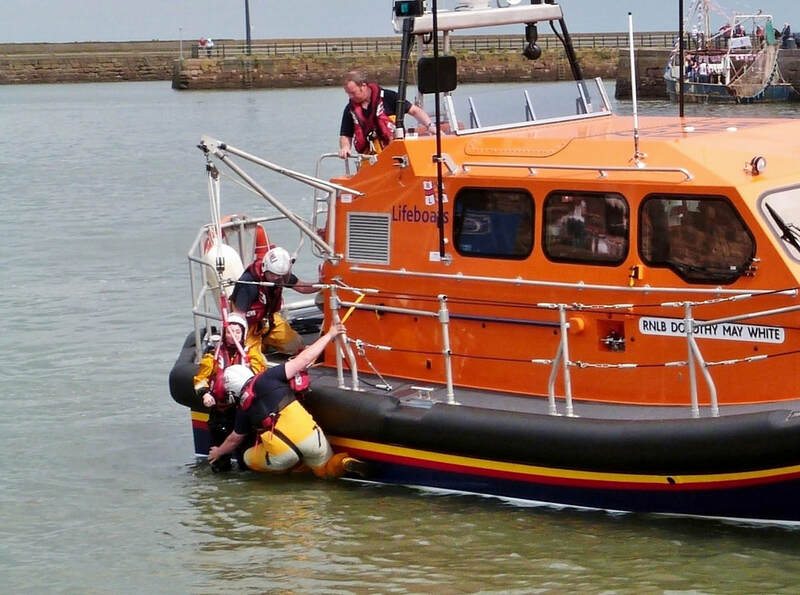 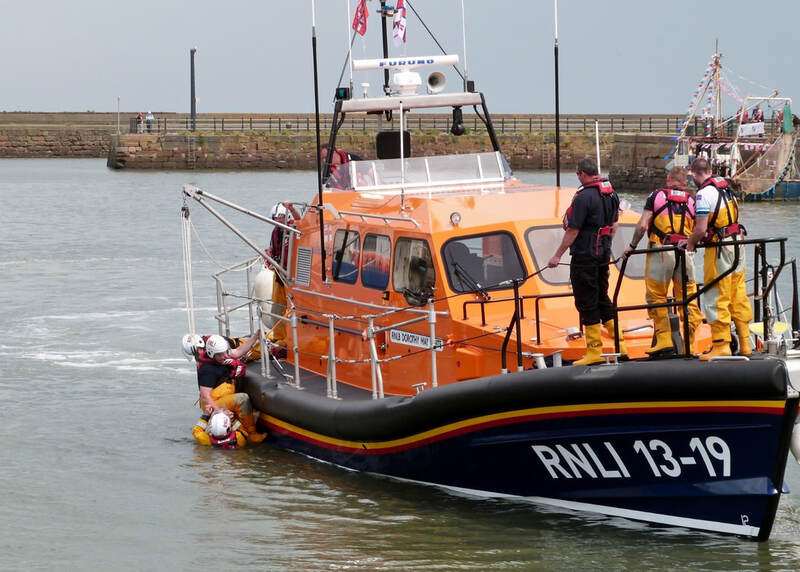 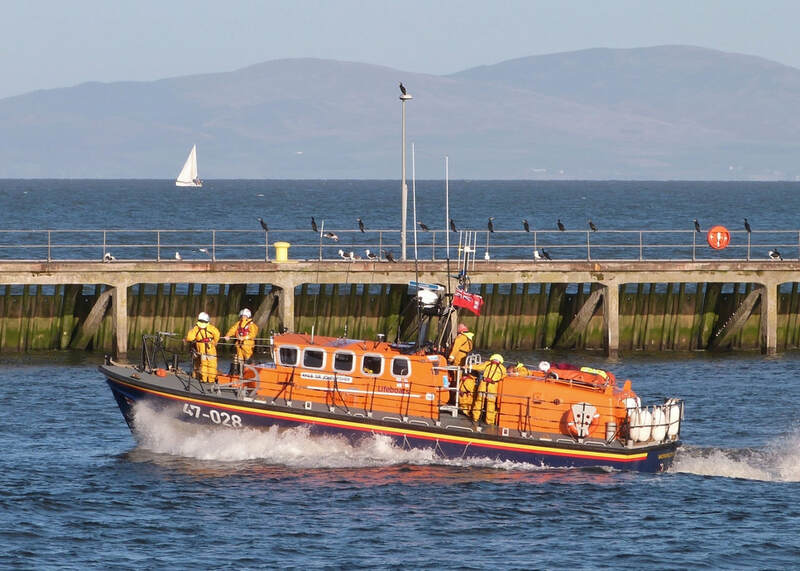 Workington's new Shannon Class lifeboat made a graceful entrance to Maryport harbour in support of the town's annual Trawler Race. 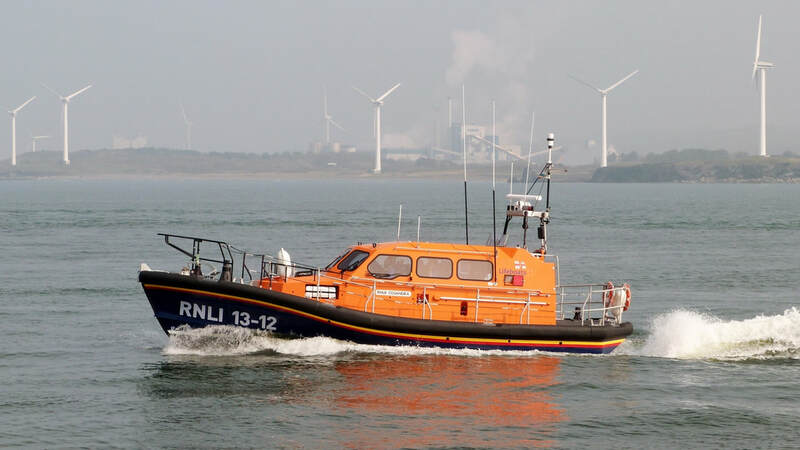 The replacement for Tyne class 'Sir John Fisher' had recently been delivered to Workington. 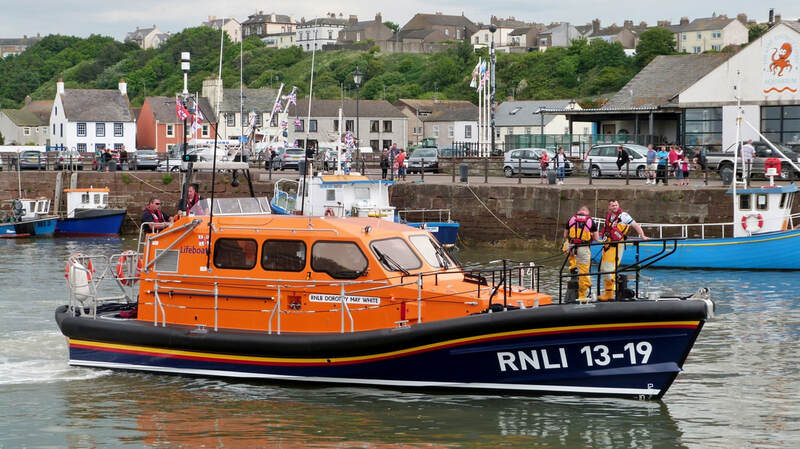 She sailed the length of Maryport Harbour to the delight of the crowds. 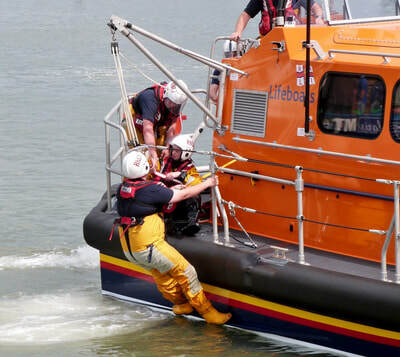 Before the start of the Trawler Race a volunteer was rescued from the harbour to demonstrate the use of the lifeboat's winch. The £2M cost has been funded by a legacy from the late Mrs. Dorothy May White, a long-time supporter of the RNLI, & donations. 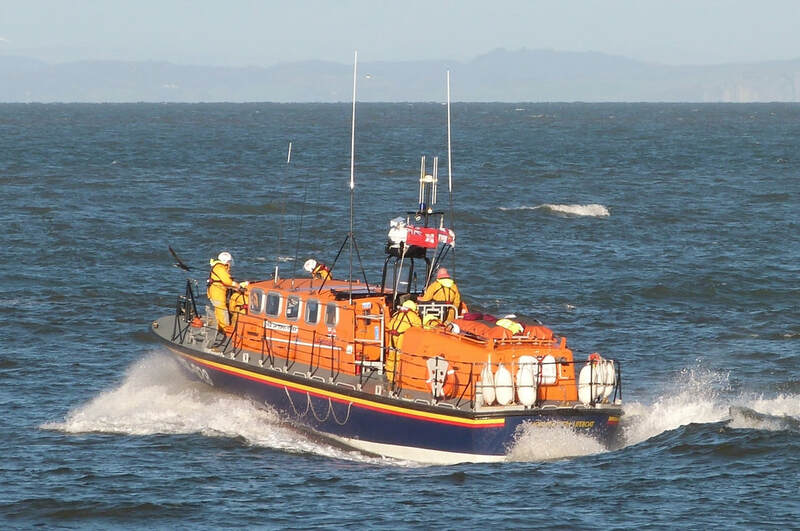 from charitable trusts and the general public. 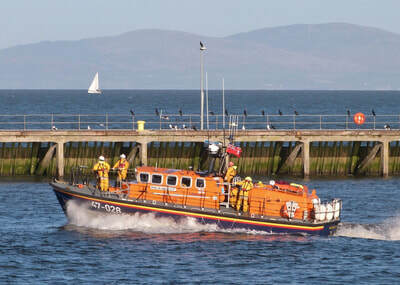 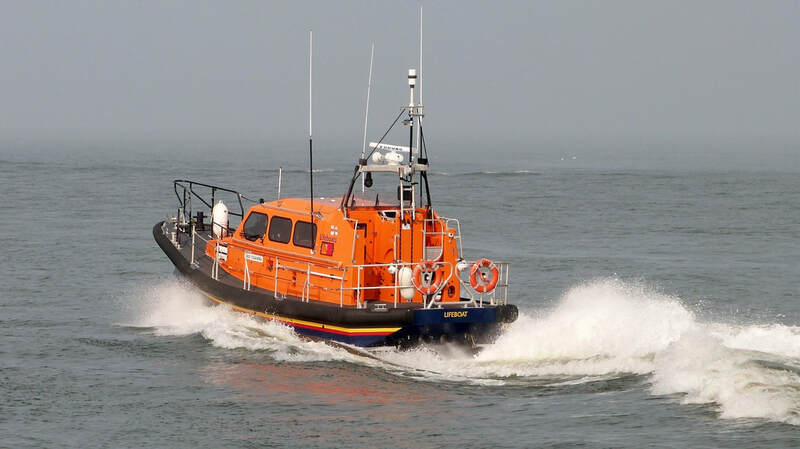 The Shannon class lifeboat from the Relief Fleet was put through her paces at the South Pier. She is 1 of 5 of this class in the fleet of relief boats. 'Cosandra' was on loan to give local volunteer crew an opportunity to ensure all is ready for the delivery of a brand new boat of the same class in April 2017. 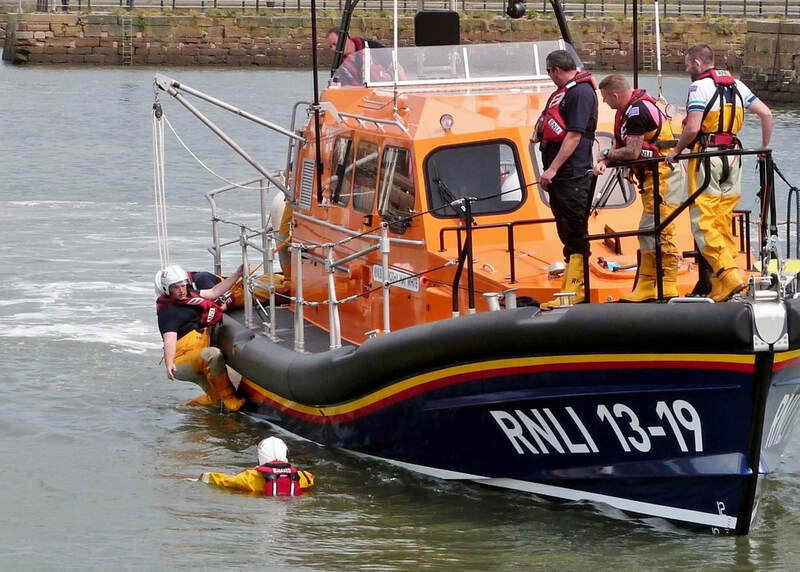 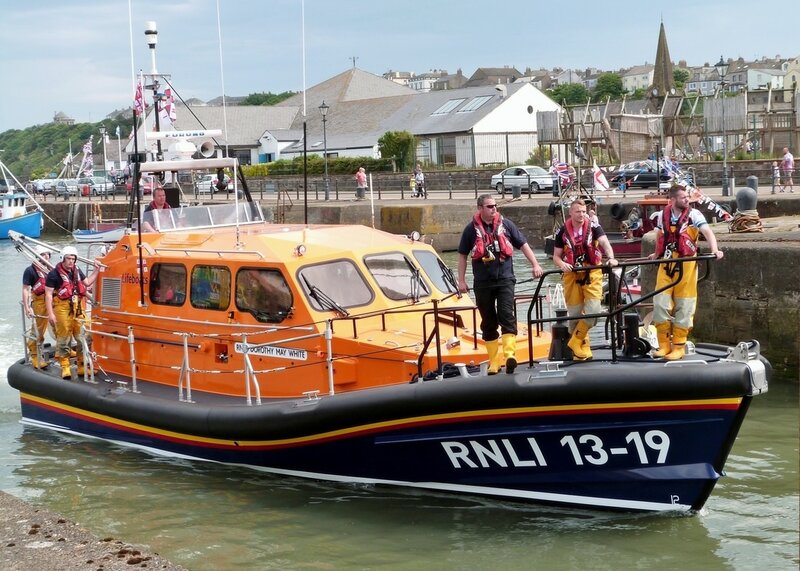 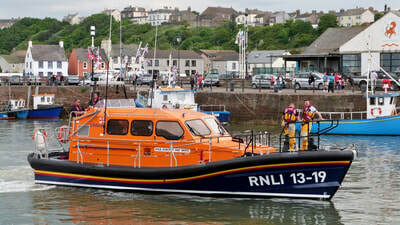 ​RNLB 'Dorothy May White' will replace the existing Tyne class 'Sir John Fisher'. 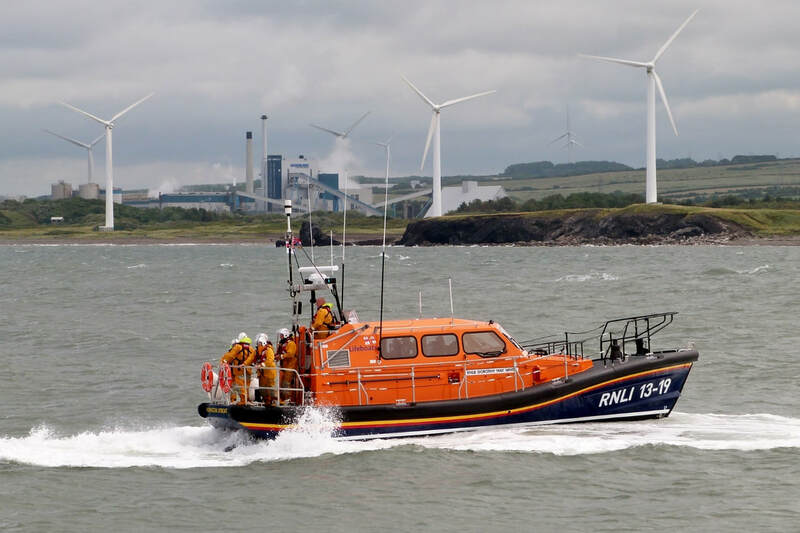 The Shannon is the latest class of all-weather lifeboat deployed by the RNLI - at a cost of £2million. Sir John Fisher in attendance for the departure of the passenger vessel to the IOM. ​'BALMORAL' reversed away from the pier under the watchful eye of the lifeboat, ​It's the first of two, one day excursions from the harbour to Douglas operated by White Funnel. 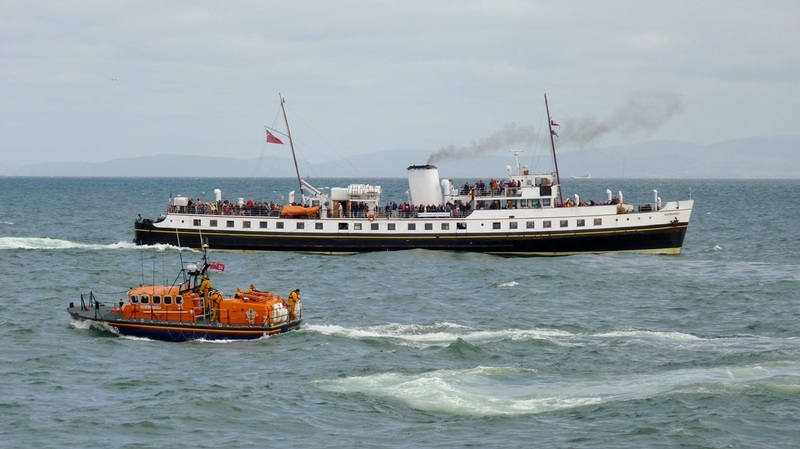 Trips on this historic vessel are always popular with both passengers & photographers. 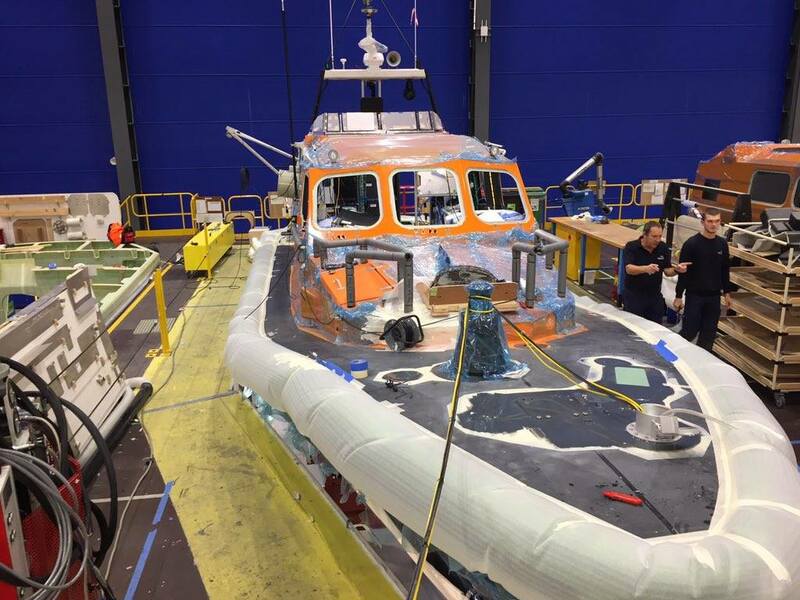 ​Photo courtesy of Phil Christopher. 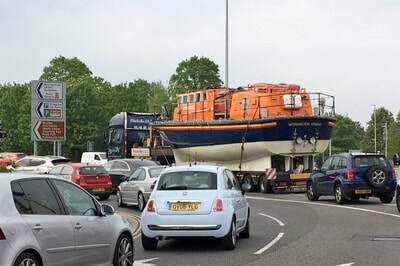 Sir John Fisher returns to base later that morning. 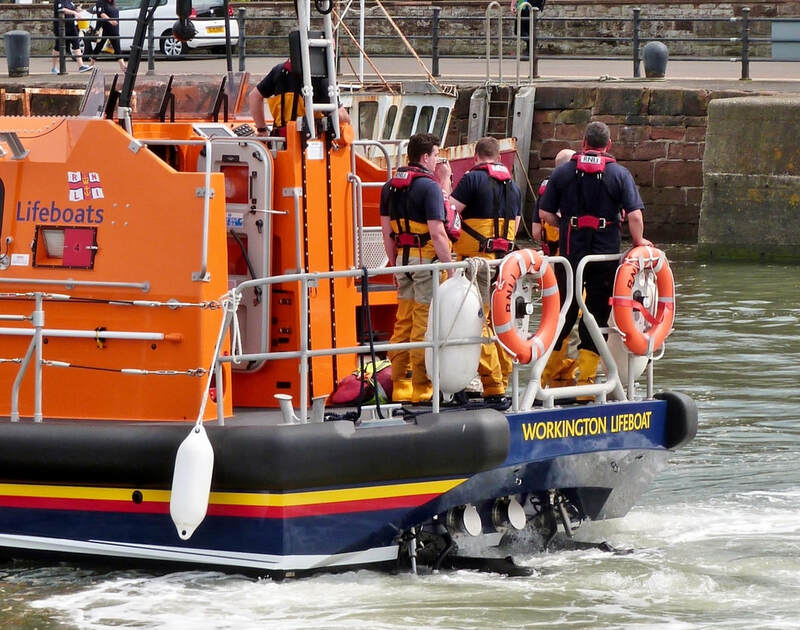 Outbound from Workington on a practice run.